During our camping holidays over the summer months we have been coming back to the tent for the evenings to cook, eat and relax under the stars and we have been searching to find a small clean and efficient wood fired stove suited to cooking meals from scratch. 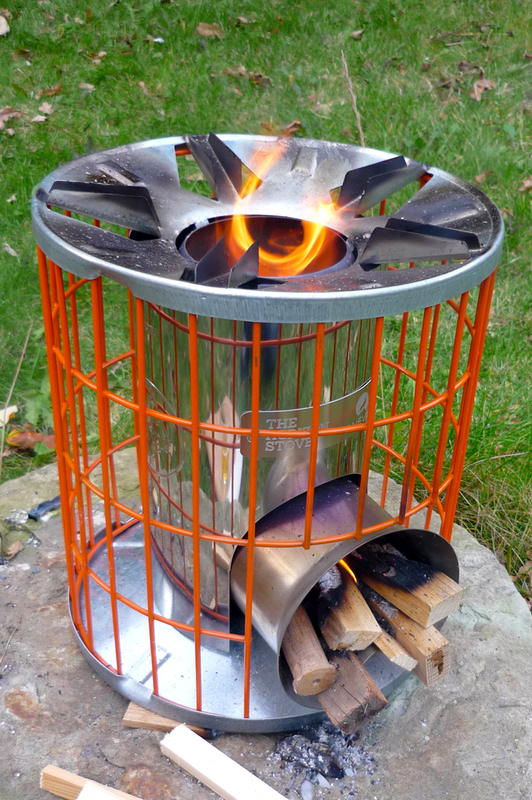 We first saw the sturdy and well made Anevay Horizon Rocket Stove at a local wood fair at Elvaston Castle in Derbyshire, and were immediately impressed by how quickly the stove was lit and ready for cooking and how little smoke was produced. We spotted a review when we subscribed to Campfire Magazine, who were having a competition with the prize of a Horizon stove, so we entered and incredibly we won! They have regular competitions so you too could pop to http://campfiremag.co.uk & subscribe. When we heard about our good fortune our thoughts immediately turned to firing up the stove! 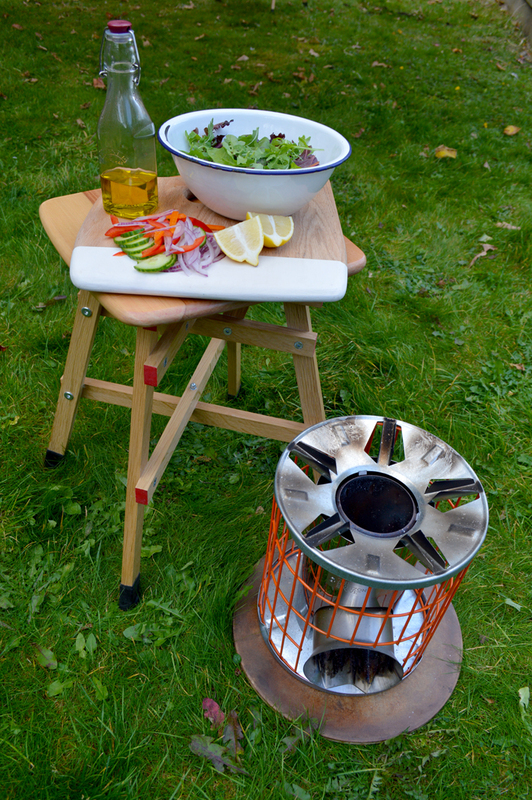 We have been enjoying ourselves getting out there for some adventurous outdoor cooking, even if it is just in our back garden now that autumn is here. 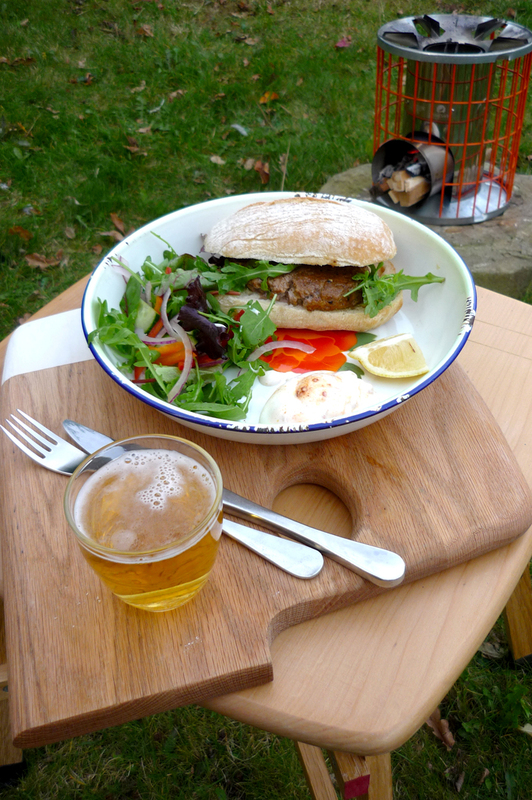 And so for our first meal proudly cooked on the rocket stove we prepared Moroccan style lamb burgers, served in ciabatta with harissa yoghurt and salad. We cooked the burgers on our stove in a griddle pan for 6 to 7 minutes each side, finding the heat from the stove not too fierce, easily controllable and were able to cook just to our liking, medium to well done. The combination of the spices, the caramelising lamb fat and the smoke gave a great taste. Later for pudding, we made delicious charred eggy barmbrack bread with strawberries, honey and a dollop of crème fraiche. 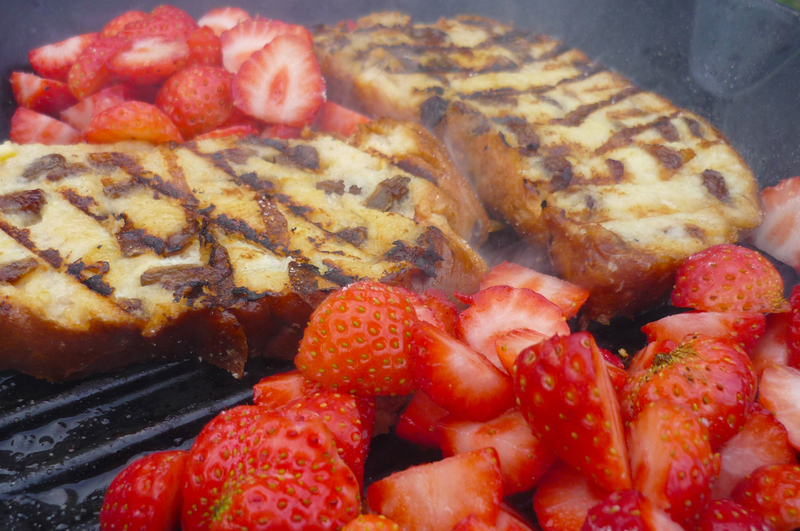 We dipped the bread slices into the mixture and then cooked on the stove for a couple of minutes on each side until golden, then added the strawberries cooking them really quickly to give a wonderful jammy taste. 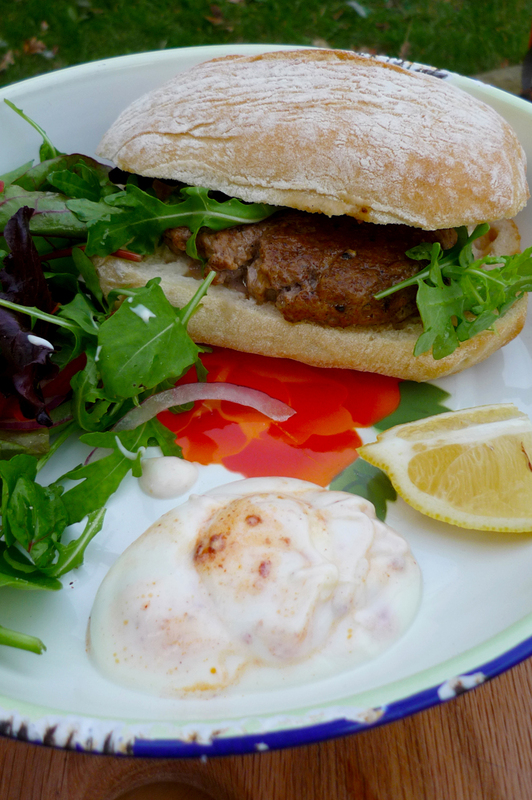 We adapted the ingredients slightly but the cooking inspiration came from recipes found at: Moroccan Style Lamb Burgers & Charred Eggy Bread. Both are a bit of a twist on classic comfort food and a real treat too. All to soon after our meal it came time to pack up and to let the fire die down. Packing the stove away in its sturdy bag made of recycled inner tubes will keep any soot from escaping until we are ready to use it again. We are now impatiently looking forward to next year when we can really exploit it to the full on our camping trips. It is clear that the Horizon stove is built to last and will hopefully be keeping us fed for years to come. Thanks again Campfire Magazine!